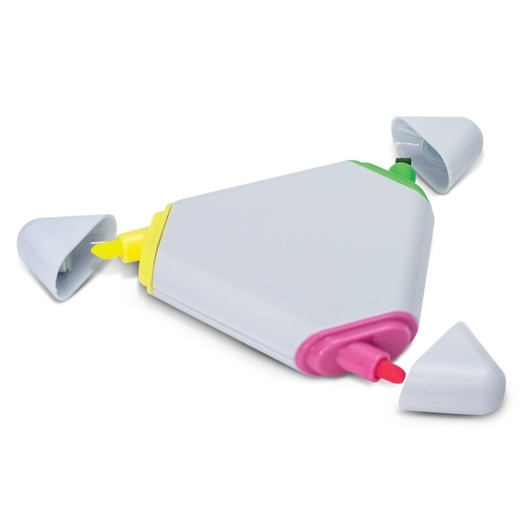 A triangular shaped highlighter with 3 different colours. 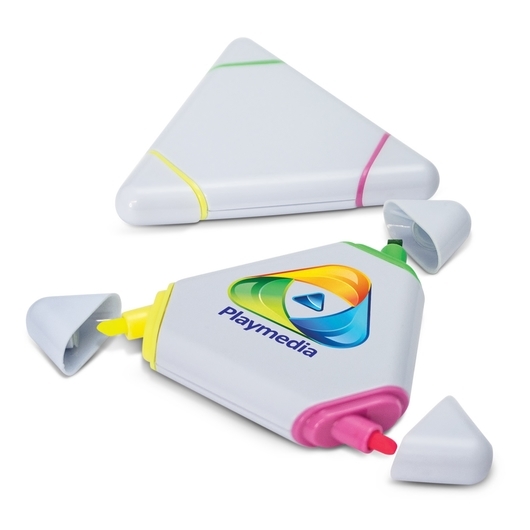 With a highly visible branding surface and 3 in 1 colours it's easy to see why these highlighters will be loved at your next promotion. 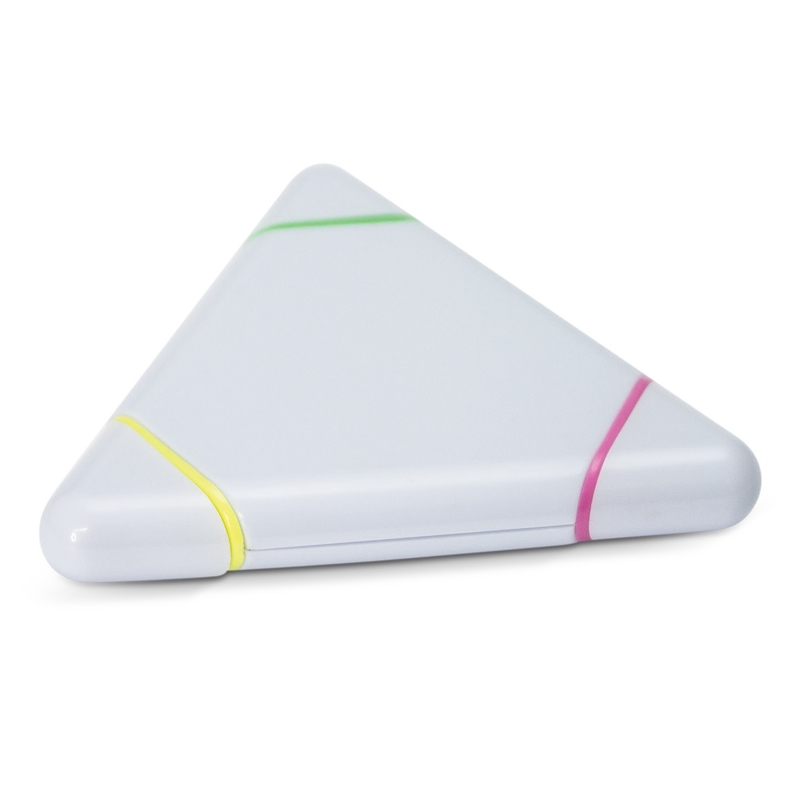 Shaped like a triangle with yellow, green and pink highlighters these are waiting for your printed logo to call them a home.